Kia's improvd third generation Sorento SUV looks as if it's really hitting its stride. Jonathan Crouch reports. The Kia Sorento has ambition. What started life as an agricultural cheapie has been fettled and polished into something far more refined. This improved third generation model looks to have the finish and engineering to put the frighteners on the SUV-class high fliers. Kia doesn't really adhere to the normal conventions of car manufacture. The South Korean company wants to get places fast, so its product planning is accelerated, compressed into 'Matrix-style' bullet time. Cars are launched, facelifted and replaced in half the time of many manufacturers. Take the Sorento. It first appeared way back in 2002 and hung around for seven years. Upon introduction it was probably the best car Kia made, but that wasn't too hard when the range included models like the original Rio and the Shuma. The second generation car got with the programme, being a far slicker thing. Introduced in 2010, it got straight onto the fast track; facelifted in 2012 and replaced in 2015 with this third generation car, which was facelifted in the Autumn of 2017 to create the product we're going to look at here. The SUV market has evolved rapidly in that time and car makers can either invest to innovate or react. Kia's chosen the latter route with its Sorento. 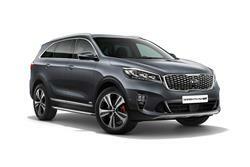 As before, this Sorento comes only with (the same) 197bhp 2.2-litre turbodiesel engine. What's changed is that this unit is now mated to a much more sophisticated eight-speed automatic transmission (replacing the previous rather clunky six-speeder). This auto gearbox offers four different drive modes - Eco, Comfort, Sport and Smart. Drivers can select their preferred mode with the Sorento's electronic Drive Mode Select system. Each mode enables the user to customise the powertrain's responses to driver inputs, enhancing fuel economy or acceleration characteristics depending on preference. Otherwise, things are much as previously and as before, a six-speed manual transmission remains available. 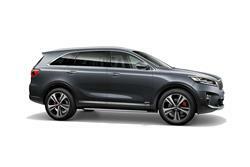 The 2.2-litre diesel develops a peak torque of 441Nm and powers this Kia to 62mph in 9.0s en route to 124mph. Like most of its rivals, this Sotrento isn't really intended for off road use, though rutted tracks are easily within its remit should you want to make use of the provided selectable 4WD system. Refinement is quite impressive, thanks to a torsionally stiff bodyshell, plenty of soundproofing, acoustic shields built into the engine bay, and a thick dashboard. There's nothing particularly sophisticated about the fully-independent suspension (it's mainly borrowed from the previous generation model and features MacPherson struts at the front and Kia's multi-link system at the rear), but Kia maintains that it's fit for purpose. At the rear, the subframe supporting the suspension has large bushings to better isolate it from the cabin and the large shock absorbers are mounted vertically behind the axle line, improving body control. 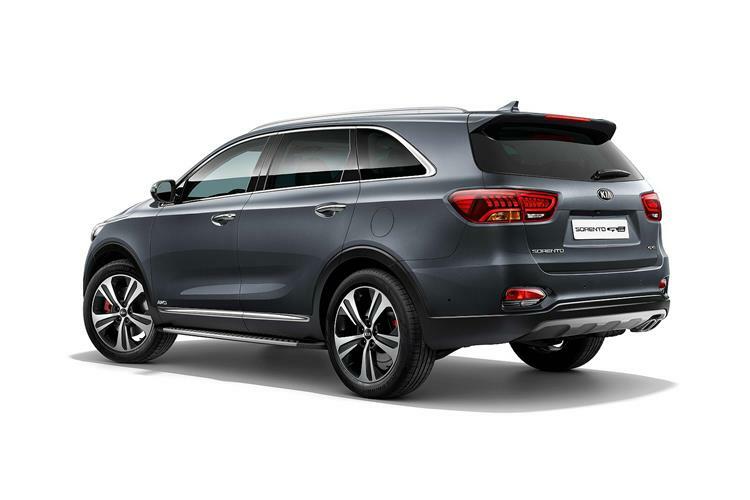 Updates to the Sorento's exterior design include revised front and rear bumpers, smarter LED headlamps, revised tail lights and a slicker dark metallic finish for the 'tiger-nose' front grille. 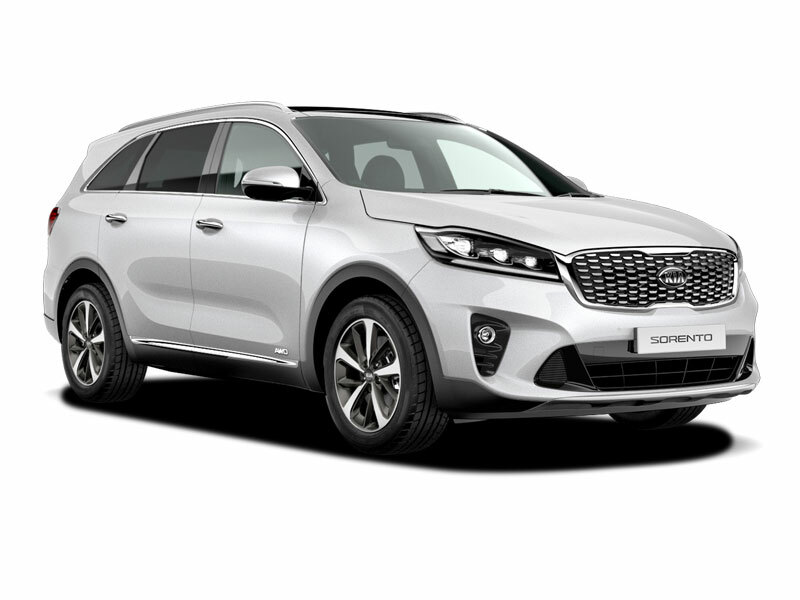 Otherwise, it's as you were, which means that the Sorento's hallmark long bonnet and trademark chunky D-pillar have been retained, along with the low-ish roofline, high beltline and swept-back shape, all combining to give the car quite a more assertive, muscular stance. Inside, the cabin features a re-designed steering wheel and driver instrument cluster, as well as a classier climate control LCD display and Kia's latest 8.0-inch touchscreen infotainment system incorporating a new Audio Visual Navigation set-up. There's also an increased proportion of soft touch materials and leather for a more premium cabin ambience. The interior follows a 'modern and wide' theme, providing passengers with a stable, horizontal layout. As before, one of the most distinctive interior styling features is the Swiss watch-inspired centre-console, although to this eye it still looks more Casio than Rado. There's a stack of room inside there though, with five or seven seat models offered. The extra 80mm of wheelbase means greater legroom throughout. Cargo space is mpressive and capacity with the third row seats folded flat is rated at 605-litres. The Sorento also features a neat under-floor tonneau cover storage compartment. There are 'KX-1', 'KX-2', 'KX-3', 'GT-Line' and 'GT-Line S' trim levels. Prices start in the region of around £29,000 which is still excellent value for money. To put that figure into perspective, the similarly-sized Volvo XC90 will require you to dig in for another £20,000. In fact, Kia's asking for the sort of money you'd normally budget for something much smaller, such as a Toyota RAV4 or a Honda CR-V. At those prices, we'd forgive the Sorento for being a bit rough round the edges. The fact that it looks very well-appointed only makes its rivals' task even tougher. All the well appointed trim grades have seven seats, with a 40:20:40 split in the middle row and a 50:50 split in the rear. The new eight-speed automatic gearbox is optional in place of the six-speed manual at the KX-2 and KX-3 levels and standard with the plush KX-4 model. From KX-2 upwards, buyers have the choice of ordering the car without the self-levelling suspension feature at a saving of £500. This improved Sorento debuts a number of technologies to improve convenience and further enhance the ownership experience. For a start, there's Kia's latest 8.0-inch touchscreen infotainment system, with navigation and Kia Connected Services powered by TomTom. The new set-up offers Apple CarPlay and Android Auto, enabling full smartphone integration. Buyers can upgrade their Sorento with a new 640-watt, 10-speaker surround-sound Harman/Kardon sound system. Safety improvements include the addition of a 'Driver Attention Warning' system that combats distracted or drowsy driving, plus there's a 'Lane Keeping Assist System', 'High Beam Assist' and full LED headlamps with Dynamic Bending Light technology. In the UK all versions of the Sorento are powered by the 2.2-litre version of Kia's R-family turbodiesel engine, which meets all EU6 emissions requirements. Al models feature the company's Intelligent Stop & Go (ISG) engine stop/start system to ensure that no fuel is used and no emissions are created when the car comes to a halt. This helps to improve both air quality and noise levels in urban areas. Automatic versions also have Kia's Active ECO feature, which adjusts the operation of the engine and transmission to promote maximum fuel economy in motion. 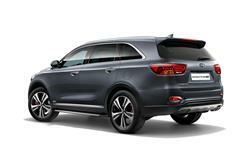 As a result, all versions of this Sorento have commendably low fuel consumption and emissions. Manual models on 17-inch wheels have combined economy of 49.6mpg with CO2 emissions of only 149g/km. As for the new 8-speed automatic, well thanks to the changes made to this transmisson, emissions have dropped from 172 to 159g/km. Residual values ought to hold up well, with used buyers keen to get hold of a smartly-styled car with a host of modern safety features and the balance of a seven-year warranty intact. It's hard not to be impressed at the way Kia has gone about developing this third-generation Sorento. It's better looking than before and plenty of engineering input has gone into refinement, both aural and haptic. It's just a more assured and confident design. What we're still not quite seeing is a pronounced Kia hallmark with this car. It still seems a fairly reactive move to the way the SUV market is developing. For many buyers, this is no bad thing. The Sorento looks a good deal more expensive than it is and even in a notoriously badge-conscious sector it would, in many ways, appear to be just too much of a bargain to overlook. Try one before you choose something pricier in this segment.